Since Lyme disease is the most common vectored disease in the US, possibly in the world, researchers are studying the organisms intensely. 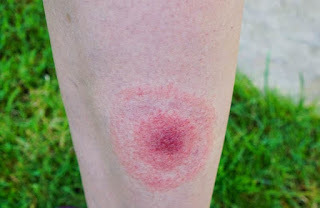 In the US, its causative agent is aspirochete: Borrelia burgdorferi. Borrelia requires both a tick host of the Ixodes genus and a warm-blooded host to complete its infectious cycle, reproducing inside both hosts. These bacteria are transmitted primarily by I. scapularis in the Eastern US, I. pacifica in the Western US. After hatching, ticks pass through three life stages, each lasting about a year: larva, nymph, and adult. Ticks usually feed only once during each life stage. The transfer of Lyme Disease begins when a tick becomes infected by feeding on a vertebrate host with Bb. Inside the tick, the spirochetes are dormant. When the tick feeds on a new host, spirochetes reproduce, are passed to the warm-blooded host, and this host becomes infected. 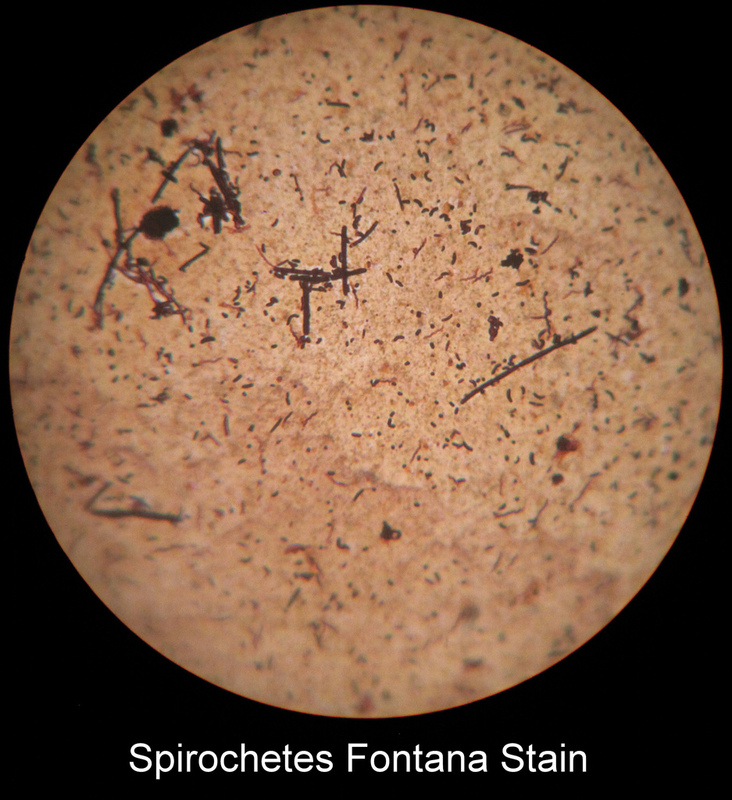 Spirochetes that remain in the tick become dormant again and wait for another feeding bout. Ticks do not just transfer bacteria from one host to another. The ticks, the spirochetes, and the hosts are all altered by the transfers. The changes that Bb undergoes within the tick and the warm-blooded hosts are complicated, but knowing what they are will help understand why finding a vaccine against or cure for Lyme Disease is problematical. Upon being drawn into a tick, the bacteria discard most of their surface proteins, produce new ones, attach to proteins on the surface of the tick's intestinal cells, and become quiescent. While quiescent inside the tick gut, the spirochetes manufacture only one or two variants of surface protein vlsE and possibly one variant of protein Osp. The change in nutrients and acidity when the tick eats again stimulates renewed bacterial reproduction. A spirochete protein, BptA (Borrelia protein A) is needed for this reproduction to take place. The protein either allows the spirochete to utilize the fresh blood for nourishment or it prevents the hemoglobin newly released from the host cells from killing the bacteria. Bacteria in which BptA is inactive cannot reproduce and ticks that house the mutated BptA- strain of Bb eventually lose these spirochete symbionts. Tick saliva contains anesthetics that inhibit host awareness of the bite. Other chemicals in tick saliva stimulate an increase in blood supply to the area, inhibit the blood from clotting, and inhibit the host's immune system. The introduction of fresh blood cells into the tick causes the bacteria to leave the tick's gut wall, stimulates spirochete growth and reproduction, and triggers rapid changes in spirochete surface proteins that the vertebrate host's immune system uses to fight off this disease agent. The bacteria also move to the tick's salivary glands and when the tick begins to spit the blood fluids back into the host, Bb is injected into its new host along with these fluids. Over the course of the three or four days that the tick feeds, individual spirochetes produce up to five variants of vlsE proteins and one or two Osp variants. There are four possible combinations of the two Osp variants (A and B): no Osp, OspA, OspB, and OspA and B together. Mix those four combinations with several variants of vlsE proteins, and there may be well over a hundred different protein combinations on the surface of the spirochetesentering the new host. This means that the host's immune system is receiving a double whammy: being assaulted by the equivalent of 100 or more different types of bacteria at the same time that it is being attacked by tick salivary proteins that suppress its immune system. Spirochetes have more time to alter their surface proteins toward the end of the tick's feeding bout making it important to have the tick removed as early as possible when a human or pet is bitten as their immune systems have fewer types of bacteria to identify and destroy. But this alone would not be sufficient to prevent Lyme disease. It is of utmost importance to obtain treatment early. 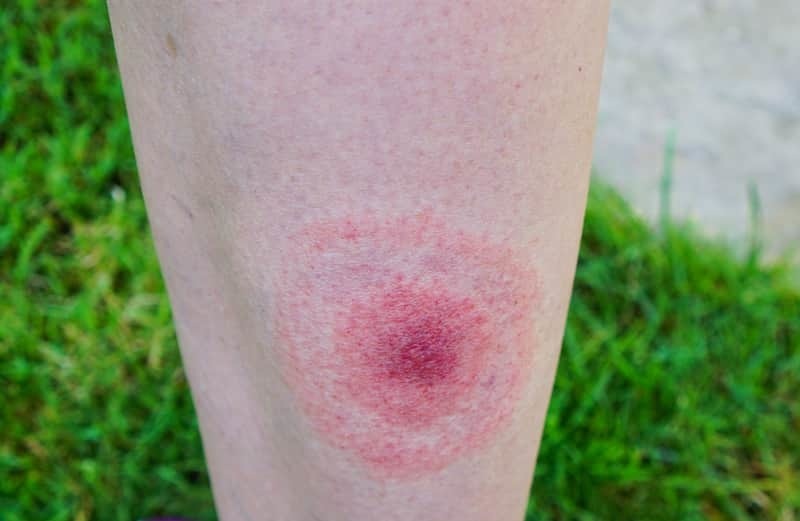 Lyme disease (LD) is normally transmitted by ticks, usually Ixodes scapularis, the black-legged tick; but other ticks, mosquitoes, and horse flies have been known to also transmit it. If not interrupted, ticks feed for four or more days. They become engorged within a day of biting, but stay about the same size although they continue to feed for several more days. Blood is composed of only 40% blood cells, and those are about 90% water. Thus, about 95% of what the tick removes from the host has no nutritive value for the tick. In order to prevent itself from exploding from excess water, the tick removes nutrients and proteins (albumin and hemoglobin) from the blood and vomits the liquid back into the host: repeatedly sucking fresh blood, removing the nutrients, and spitting the liquid back. If the tick is infected, the bacteria are injected while the tick is regurgitating. This usually does not happen until the tick has become engorged with blood – about 36 hours or more after attaching, but some have contracted LD from ticks that were imbedded less than 10 hours without becoming engorged. Removing a non-swollen tick usually means the person will probably not be infected unless the tick is squeezed or caused to regurgitate before releasing its bite, but a doctor should always be informed about tick bites. A plastic card with a v cut at one end removes ticks easily, but a fine tweezers or removal tool may also be used. The card or tool is slipped under the tick with the point of the v at its head (the part with feet sticking out) and pushed toward the tick's rear. If the tick is newly imbedded, it usually pops out. If the jaws of the tick, or even its head might break off and remain in the skin, a doctor should remove the tick to prevent infection. The area should be flushed with an astringent mouthwash or alcohol, and the tick killed in the same liquid. If a tick cannot be removed easily, a doctor should remove it. Heat them with a cigarette. They will vomit immediately. Burn them. They will vomit and die. Cover them with petroleum jelly. They only breathe a couple of times an hour and will not suffocate. Squeeze them. Any bacteria they have will be regurgitated. Flood them with alcohol or mouthwash. They vomit and die. Tuck pant legs inside socks. Use insect repellent on clothing and skin. Check for ticks after every session outside. Take two 500 mg garlic capsules and 1000 mg of fish oil daily. Those who have tried it, find the combination even more effective in reducing the number of bites. People who were once "tick magnets" almost immediately find very few ticks on them once adding these oils to their diets. Thus, the combination of garlic and fish oil is highly recommented to repel ticks for people who are not allergic to them. Garlic powder is touted by several animal feed stores as an excellent way to keep pets and domestic animals free from ticks. But dosing pets with huge amounts of garlic can be fatal to them. Like all medications, moderation is the rule. Concerned about potentially toxic head lice treatments? Some parents are leery of exposing children to the insecticides in the widely-available OTC products or prescription-only treatments, or fear allergic reactions. Others question effectiveness, noting some recent reports indicating lice may be becoming resistant. An internet search for pesticide-free lice treatments reveals a vast and confusing array of commercial products and home remedies with detailed instructions. Most include enthusiastic testimonials, but deeper searching may uncover many reports of treatment failures. Few offer conclusive, well-controlled research to back up their claims. How do you make a choice? It’s critical to understand the life cycle of the head louse. Adult lice can live on the scalp about 30 days and lay up to 100 eggs (nits), firmly “gluing” them to the hair shaft. New lice hatch in 7-10 days, and reach maturity and lay eggs 7-10 days later unless killed or removed first. That’s why a one-time treatment (even insecticidal) is unlikely to resolve the problem; all effective methods aim to kill live lice, but the nits usually remain and will later hatch, requiring re-treatment. The goal is death by suffocation: the hair is thoroughly saturated with a viscous household substance like olive oil, mayonnaise, or petroleum jelly, then covered tightly. Leaving the treatment on several hours is key, as preliminary laboratory research at Harvard University indicated lice “recovered” from one hour of olive oil submersion. Treatments must be repeated as nits hatch. Reports of success are mostly anecdotal. An exception is the “Nuvo Treatment”, which uses a skin cleanser and blow-drying. A controlled clinical study published in the September 2004 issue of Pediatrics claimed up to 96% effectiveness for this method. Natural health stores, websites, and some drugstores sell enzyme-based, herbal or essential oil-containing treatments marketed as effective in killing lice. Home “recipes”, too, may advocate mixtures infused with tea tree oil, anise, eucalyptus or neem oil, among others. One best-selling commercial product lists sodium chloride (salt) as the active ingredient. All of these treatments probably act on lice via neurotoxic effects. As with the suffocation techniques, individual successes are abundant but hard clinical evidence can be hard to come by. Some experts caution parents against the use of essential oils in young children. Battery-operated lice combs that “zap” lice can be purchased. Unlike traditional louse combs, these must be used on dry hair, and do not claim to destroy or remove eggs. Fans claim these have worked where other treatments have failed, while critics have questioned whether they reach the scalp and/or truly kill, rather than just impair, the lice. Almost all “non-toxic” approaches suggest combining regular removal of eggs using a nit comb with the chosen treatment. Some, such as the National Pediculosis Association, go further and assert that combing and nit-picking alone is the ONLY surefire means of eradicating lice. 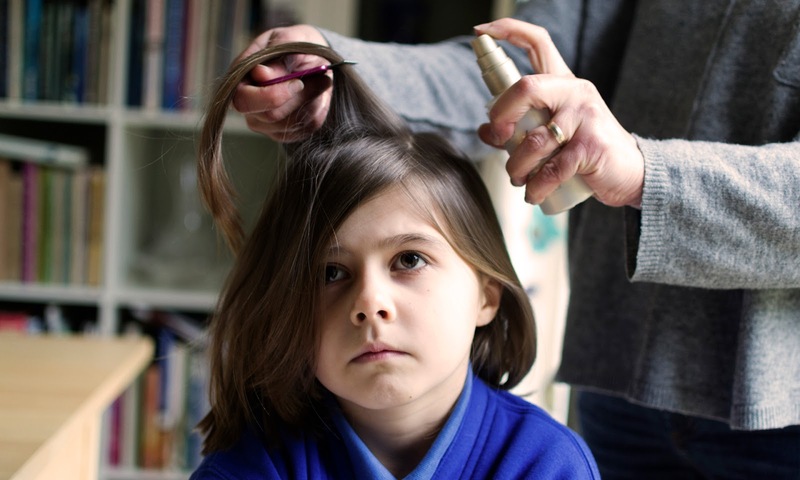 One drawback in relying on combing alone without a lice-killing treatment is the large amount of time, diligence and compliance required of both parents and children. Missing even a few viable nits can result in the cycle of infestation beginning again. Dealing with lice can be challenging and requires persistence. There are no miracle cures, but a combination of a lice-killing treatment with meticulous combing/nitpicking is a one-two punch that can ultimately prove successful in winning the battle. It’s a billion dollar business. ‘Canadian’ drugs online mean huge profits for pharmacies that span the web. But the FDA's Office of Criminal Investigations found that about 86 percent of online pharmacies claiming to be Canadian are actually hosted by US companies. Researchers tracked about 11,000 Internet pharmacies that claimed to be accredited Canadian sites, and found that less than 25 percent were legit. The rest were hosted by companies or individuals outside Canada, 86 percent from the US. Americans flock to Canadian sites because they pay less- typically 20-25 percent says researcher Maria Bekiaris in her article Cut-Price Medicine. In large part it’s because the Canadian drug industry is regulated while the US industry is not she says. It’s not even legal for Americans to buy drugs from accredited Canadian sites, specifically under the U.S. Prescription Drug Marketing Act (PDMA), 1987. The FDA advises that these Canadian sites are not safe, let alone fraudulent, unregulated ones. “Patients who buy prescription drugs from Websites operating outside the law are at increased risk of suffering life-threatening adverse events…we know from history that tolerating the sale of unproven, fraudulent, or adulterated drugs results in harm to the public health,” states its website. 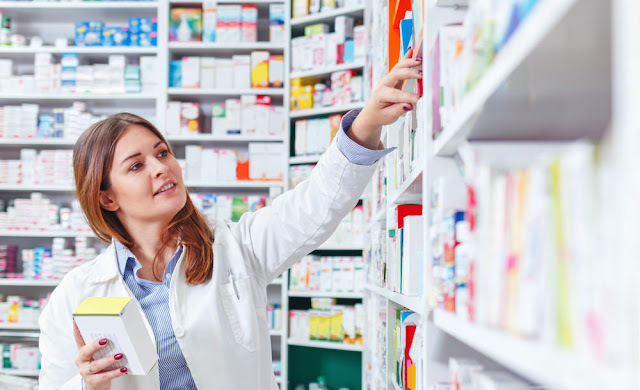 That’s why the National Association of Boards of Pharmacy offers the Verified Internet Pharmacy Practice Sites program (VIPPS), a list of approved on-line pharmacies. 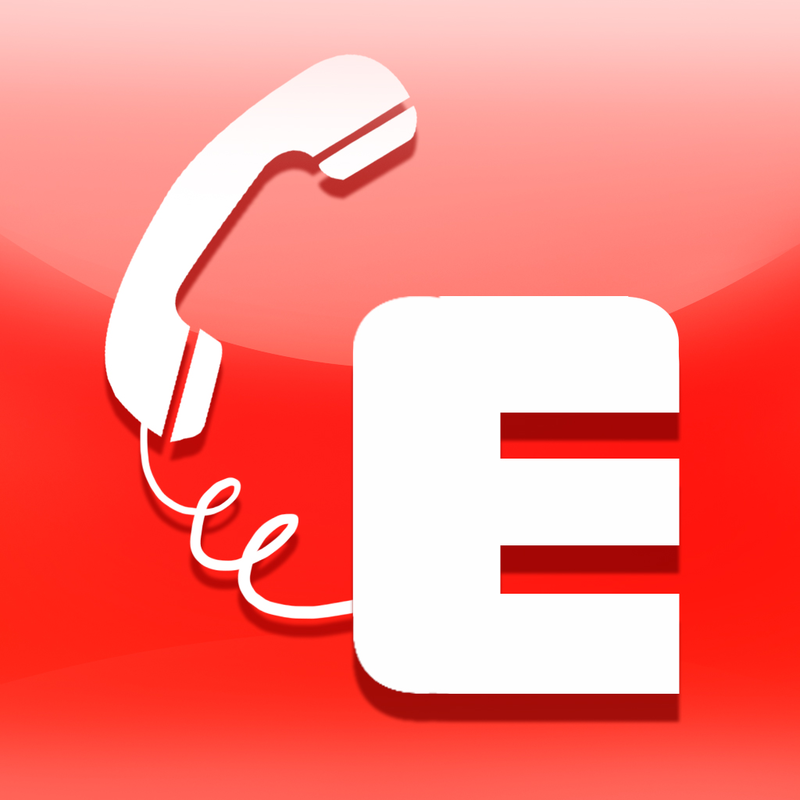 People may also call the association at 1-(847) 391-4406. It’s the only professional organization that represents eight Canadian provinces plus all 50 American states, the District of Columbia, Guam, Puerto Rico, the Virgin Islands, New Zealand, South Africa and two Australian states. The VIPPS list won’t safeguard against drug abuse though. An American study investigated how easily people could get drugs on the Web. Columbia University’s National Center on Addiction and Substance Abuse conducted the study two years ago and published the results in its paper You’ve Got Drugs! Prescription Drug Pushers on the Internet. Researchers tracked 495 sites that sold risky and addictive drugs. Only six per cent asked for a prescription. This easy drug access, the study suggested, has attracted addicts and young drug abusers. Although U.S. Customs and the FDA have occasionally intercepted shipments from Canada, they have never prosecuted an American consumer because they do not have the manpower they say, Patricia Barry of the Canadian International Pharmacy Association says on its website. Sniff around: Literally use your nose to help determine signs of neglect. 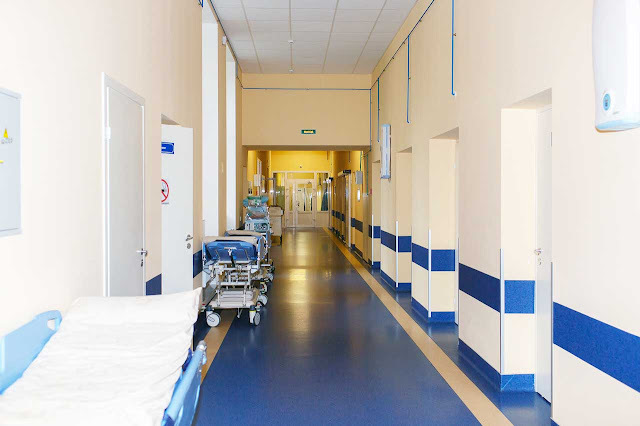 Although hospital smells are not appealing, you will quickly recognize which smells are normal hospital smells and which ones are not. Your sense of smell will help you to quickly determine if your loved one is getting the proper care in being bathed and cleaned regularly. If not it is a sign of patient neglect. Look for bedsores: If the patient has bedsores, you'd be right to suspect patient neglect. The staff is not adequately moving your loved one enough to prevent them. Examine the linen: If it is soiled and has been that way for an extended period of time, it is another sign of improper patient care. Determine if the patient is dehydrated or hungry:. Be careful with this one. If your loved one is refusing food and drink, that is not neglect, however, if they are complaining about hunger and you see that their water pitcher is constantly empty, it could be a sign of patient neglect. Talk to the staff: If they are overworked, harried, impatient and generally unhappy, there is a possibility that their workload precludes them from providing adequate patient care. Trust your instincts: Too many times people do not take their own instincts seriously. If you have a gut feeling that things aren't going right, more times than not, your gut is correct. Seek help. Since visitors inadvertently become patient advocates, coordinate visitation so that the hospital staff and nurses are aware that your loved one has friends/family who care about their well being and are willing to do what it takes to ensure proper patient care. If you suspect hospital neglect, speak to the staff. If it has gone beyond the point where speaking to the staff yields results, contact the Consumer Services Department of your state's Attorney General's office. For more information visit on reporting suspected patient abuse, visit the Department of Labor website. Pets don't care what we wear or if our hair is combed. Pets provide unconditional love and companionship for people of all ages—a fact that any pet owner can confirm. But scientific research also suggests pets help people control blood pressure and manage stress. Researchers have taken an interest in pets because controlling stress and blood pressure are vital keys to reducing the risk of heart disease, heart attack, and stroke. A 2000 study, for instance, found that dogs help relieve cardiovascular stress in people who have had difficulty controlling their stress. The study was just one of a series that demonstrated the positive health benefits of pet ownership. Dr. Karen Allen has led a team of researchers from the State University of New York (SUNY) at Buffalo in a series of pet-related studies that began more than a decade ago. Their results have repeatedly demonstrated that people show a reduced stress response (i.e., less of a rise in blood pressure or heart rate) if their pet happens to be nearby. Pets comfort us when we face life’s many challenges. The SUNY-Buffalo research team has also studied the effects of owning a pet on a group of hypertensive people who were caring for their brain-injured spouses. Half of the caregivers adopted a dog for six months. At the end of those six months, the new pet owners were reacting to stress better than they had before, and better than the caregivers who did not have a pet. The other half of the caregivers then adopted a dog. After another six months, all of the caregivers were reacting better to stress. 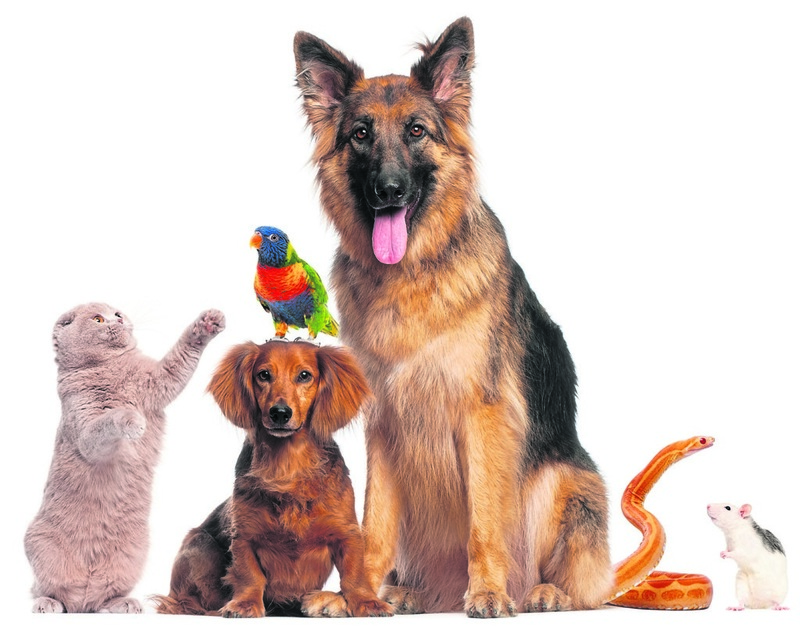 Research has found that health benefits are not limited to dogs or (by extension) cats. A study found that watching brightly colored fish swim back and forth in an aquarium helped calm people prone to disruptive behavior, such as children with attention deficit/hyperactivity disorder. Nursing homes in both the United States and Europe have documented the helpful effects of bringing in pets to visit the residents, and many people have benefited from therapeutic programs that allow them to interact with horses, dolphins, and other animals. Exactly why pets can have a positive physiological effect is not clear, but experts have a number of theories. Research in general has shown that people tend to be healthier when they have a companion. In addition, studies have shown that people enjoyed more social interaction if they were accompanied by a dog. It may also be that people have an easier time reaching out to a person’s pet than a person! 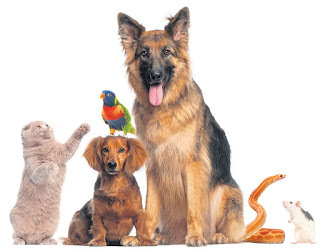 Pets bridge all communication gaps. Whenever there is talk about obesity, it is generally discussed alongside the risks for heart attack and stroke. In reality, there is a long list of conditions that obesity is associated with an increased risk for. While this article will not cover every single one, it will highlight some of the effects of obesity that people may be less aware of. Sleep apnea is when you stop breathing momentarily in your sleep. It could be a central sleep apnea from neurological impairment or obstructive sleep apnea from your airway closing off. Obesity is a cause of obstructive sleep apnea because excess fat tissue around the airway and in your neck can make the airway easier to collapse. What ultimately happens is that you would be excessively sleepy in the daytime, enough to impair concentration and put you at risk for accidents. Keep in mind that you do not need to be obese to have obstructive sleep apnea. Upper airway obstruction has other causes, including substances relaxing the throat muscles such as alcohol and anatomical causes like enlarged tonsils. Even thin people can have sleep apnea. Another breathing problem could occur with obesity. If you were to be massively obese, the heavy weight of fat tissue in your belly could actually make it hard to take a deep breath. Over time, you would build up carbon dioxide in your system and also have a low oxygen level, which would lead to daytime sleepiness and fatigue. This is called obesity hypoventilation syndrome, also called Pickwickian syndrome. Though it has similarities with sleep apnea, do not confuse the two because they are not one and the same. GERD, commonly known as acid reflux, can occur with obesity for the same reason as obesity hypoventilation syndrome. Weight from abdominal fat tissue can push the stomach upward, which then pushes its acidic contents upward into the esophagus. While medications for acid reflux can be used, they do not address the root of the problem. With obesity, there is an increased risk for osteoarthritis in the knees. This is because of the amount of stress put on the knees when one is obese, and there is evidence that shows this. Surprisingly, obesity is also associated with an increased risk for osteoarthritis in other joints, like the hands. This may suggest a metabolic process with obesity and osteoarthritis, not just a mechanical process. There are certain areas of skin that fold, allowing moisture to collect if there is a lack of hygiene. They include the groin and the skin under the breasts in women. With obesity, another place would be the skin under the protruding belly. If moisture is trapped in these tight spaces long enough, skin inflammation takes place. This is called intertriginous dermatitis. 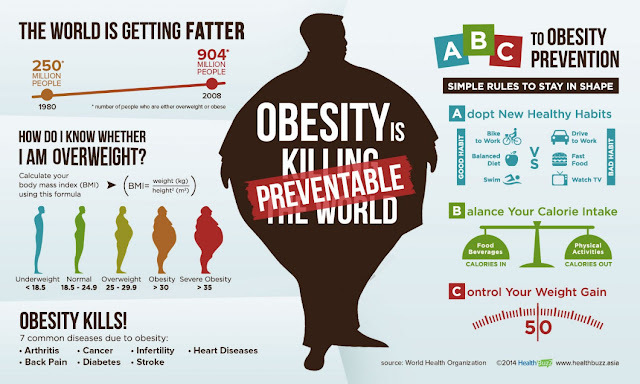 Obesity is associated with a long list of health risks, more than what is described here. While there are treatment options for each of the individual conditions, the best way to treat them is to lose weight and eliminate the root of the problem. Maintaining a healthy weight is more than preventing cardiovascular disease and other conditions. It is about living a long healthy life.